MSF motorbike drivers wait to board a local pirogue that will allow them to cross Uele River, near the border with Central African Republic, on their travels from Monga to Gbadolite, a trip that takes two days to complete. 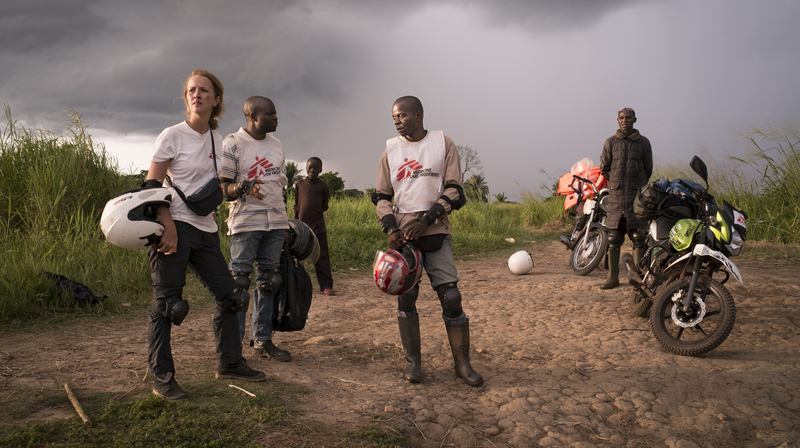 In Gbadolite, MSF staff can catch a flight to return to Kinshasa. Nord-Ubangi province, Democratic Republic of Congo.